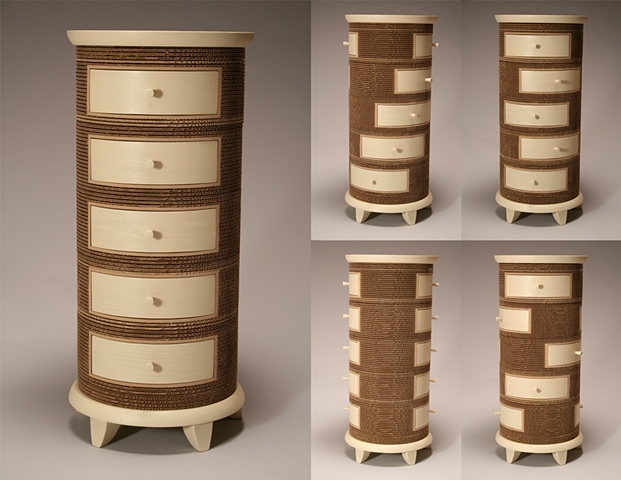 As an artist and furniture maker I create objects with subtle features that engage the viewer to make them want to interact with and investigate further. My driving force has been to explore the beauty and character of corrugated cardboard in functional and sculptural forms. This study of the fine use and function of this low-status and often overlooked material is what motivates me. Creating finely crafted furniture and sculpture with corrugated cardboard, and sometimes wood and metal, is an exciting challenge that results in an elegant surface and form.